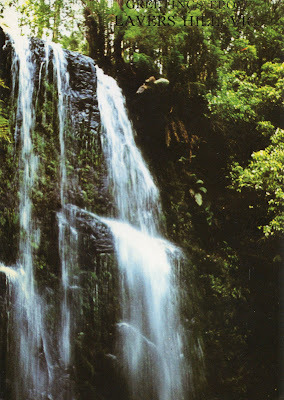 There was something appealing about the image below, a waterfall in Lavers Hill, Victoria (pop 208). 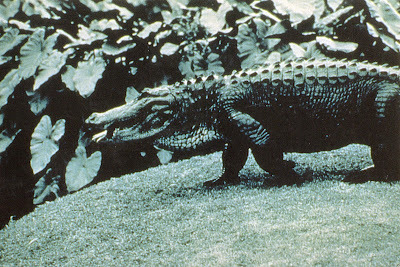 The photo's not great, but it seemed to have a certain quality. 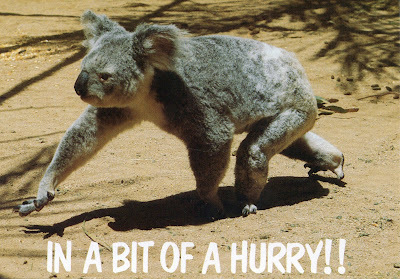 And the ubiquitous comedic koala postcards. There are people in the world who may find this stuff hilarious. Personally, I find the first one a little grim, like the koala is heading to see a loved one in the hospital. The font used is Dom Casual. It's the kind of font that says, "Hey there! I'm informal, yet not too crazy! 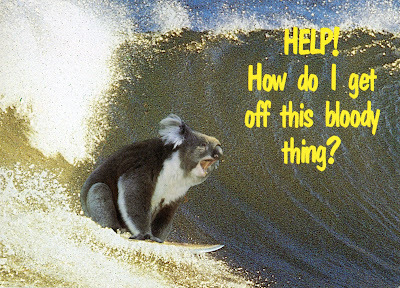 I can get the message across, yet not interfere with your message, which is, in this case, a fabrication of what a koala may be thinking if it somehow managed to get onto a surfboard, paddle out to a wave, ride it and then come to the shocking realisation that it has no idea how to get off it! The koala will be anxious and perhaps use a mild form of expletive!"